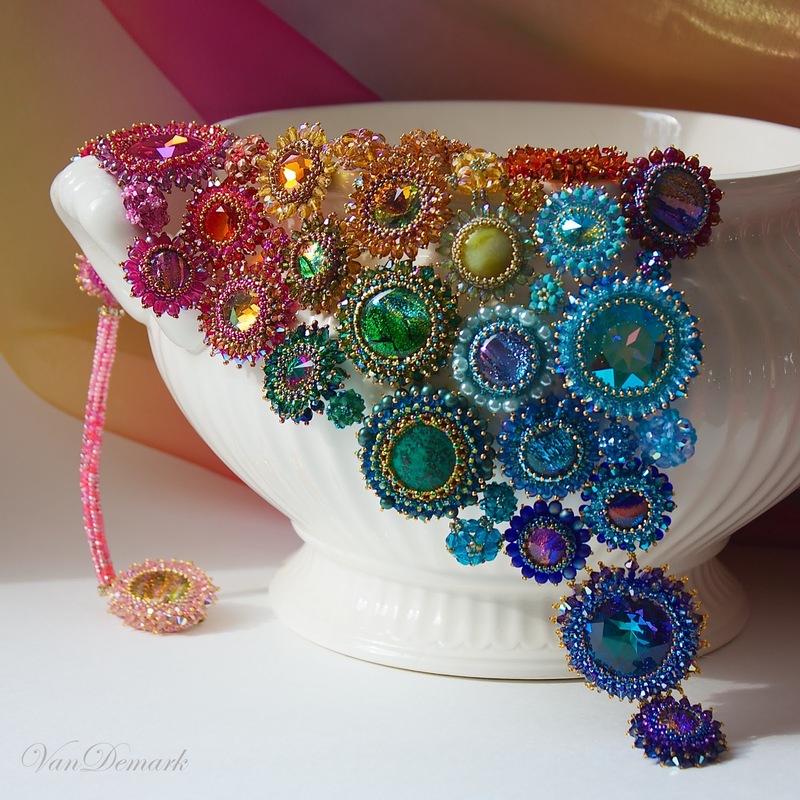 Today, I'm contributing photos of my necklace, Radiance, to The Inspiration Studio. Our theme is color and posts are all visuals, no text for two weeks. It's a gorgeous treat - a feast for the eyes! We're also choosing a photo from the iStudio Flickr pool, each day. and you may be included. Wishing you a colorful world! How beautiful. The craftsmanship and the colors. Such a great idea to welcome in spring. Oh, my that necklace is AMAZING! Amazing color. I love it! Thanks for trying out square format and linking in to Exploring with a Camera! stunning -- a glorious rainbow indeed! Absolutely stunning!! 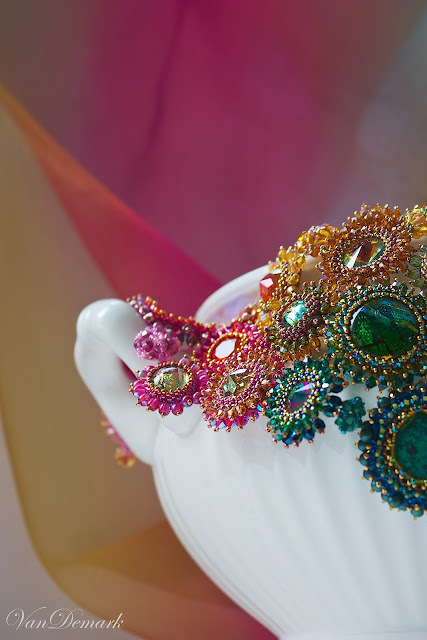 What intricate and beautiful work! I have had the privilege of seeing this necklace in person several times. It is absolutely amazing and gets more beautiful each time I see it. Anna, your creations are amazing! I think this piece is the most beautiful of all your work. It's breathtaking.